You’re toast if you don’t hop on over to the pantry and celebrate today’s food holiday with us. September 3 is National Welsh Rarebit Day! At first, I was worried that we were going to have to eat a bunny today, but it turns out the name “rarebit” is an ironic stab at humor. It turns out that Welsh peasants weren’t allowed to eat the rabbits caught in hunts; these were reserved for nobility (in other words, rich wankers). While rabbits were considered “poor man’s meat” across the pond in jolly ol’ England, in Wales they fetched a much higher price. Cheese, on the other hand, was considered a meal for the poor. So the crafty Welsh simply substituted cheese and called it “Welsh rabbit.” Since there wasn’t any actual rabbit in the dish – a minor detail, to be sure – the name was jokingly changed to rarebit. Oh, those humorous Europeans! Welsh rarebit is similar to fondue, but cheddar is used instead of Swiss. The dish is simple to make, and considered a hearty and delicious tavern dish in Wales. It’s made by melting cheddar cheese, adding beer and other ingredients (butter, mustard, Worcestershire, seasonings), and serving over toast. Kind of an inside-out grilled cheese sandwich, if you will. I’m game! Tara and I made welsh rarebit as an appetizer. We turned to Alton Brown for a basic recipe, and just made a few minor substitutions. We thought it was delicious, very much like fondue! I am glad no bugs bunny was harmed in this dish! I remember reading Welsh Rarebit on a menu in a restaurant and the price was hefty. I ordered it and thought “WTF? $15 for cheese sauce from the Kraft box and toast?” Ya… It was fine but not 1995 $15 fine. Well, in all fairness, there is beer in there. And cream, too. It probably cost them close to $2 to make the dish. Ohhhh This was one of the BEST days b/c I had never heard of this before (or maybe I had but I didn’t know what it was) and I LOVED it and now eat it all the time! That’s awesome. We’ve done the same with the curried chicken salad we first had way back in February or so…it’s become a staple now. I can see eating more Welsh Rarebit, too! Sounds delish but I’m not quite sure I could get past any sogginess. Actually, because we used day-old Italian bread that was sliced nice and thick, it stayed pretty crispy. This was really good, and like John says above, could become one of those foods we enjoy from time to time regardless of the lack of a holiday. It doesn’t appear that you made a roux first with the flour and the butter before adding other ingredients. The Sauce shouldn’t be runny – it should spread over the untoasted side of the bread(one side should be toasted) and grilled until it starts to bubble and has a gratinee finish. Is good with bacon or served with a poached egg on top (buck rarebit).A real welsh rarebit looks quite different to your picture. We did make a roux first, but it might have been rushed. I agree it should definitely be thicker in consistency. And we didn’t grill it after spreading it on, as our recipe indicated it should be poured over the toast and served immediately. That’s a good tip, though. I think considering this was our first attempt, it turned out pretty good. I remember it was delicious, anyway! It is a very tasty snack. I am in the UK and many “tea shops” or cafes have it on the menu and I make it at home a lot… not always with the ale. A mature cheddar mixed with the worcestershire sauce and the mustard makes it savoury enough and maybe a small pinch of paprika. You do need to toaast one side of the bread though….otherwise the bread would get too soggy if the cheese was runny and u need the crisp texture which enhances the taste experience. It’s traditionally made with regular sliced bread. Enjoy,. I forgot to say, you only need a small amount of milk. 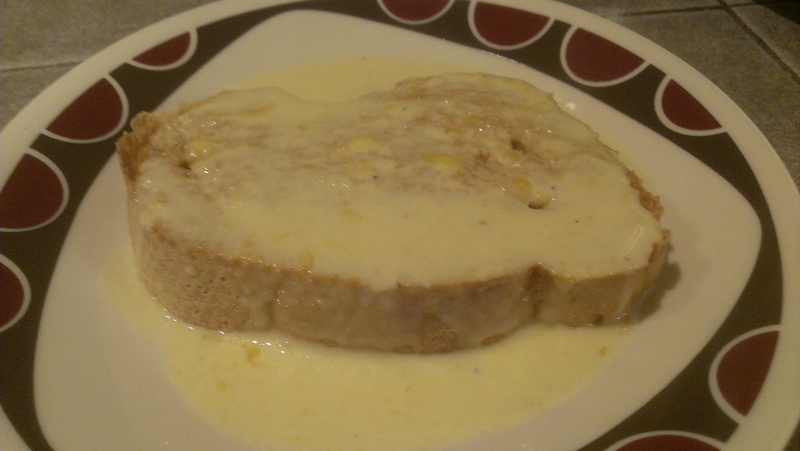 (never heard of cream being used) just enough to melt the cheese into the roux to make it spreadable….. add a little. you can always add to it to get the consistency you prefer.